Building on Hope, an organization of volunteer designers, architects, builders and others who provide renovations to nonprofit group facilities, has completed the $1.8 million community-funded “extreme makeover” of the Manchester Police Athletic League Michael Briggs Community Center in Manchester. Nearly 400 volunteers and dozens of companies collaborated in the effort to transform the building that provides an alternative to harmful behavior for Manchester’s inner-city youth and encourages positive relationships between law enforcement and young people. The transformation of the Michael Briggs Community Center was the fourth and largest project undertaken by the all-volunteer group in the past seven years. The new center was unveiled on Sunday, with more than 250 volunteers, police officers, community members and MPAL participants in attendance. Among them was Manchester Mayor Ted Gatsas, U.S. Sen. Kelly Ayotte, Gov. Maggie Hassan, Michael Briggs’ family and Ryan Hardy, a Manchester officer who was shot in the line of duty a week earlier. A total of 17 rooms were renovated in the 16,000 square-foot, 105 year old facility. 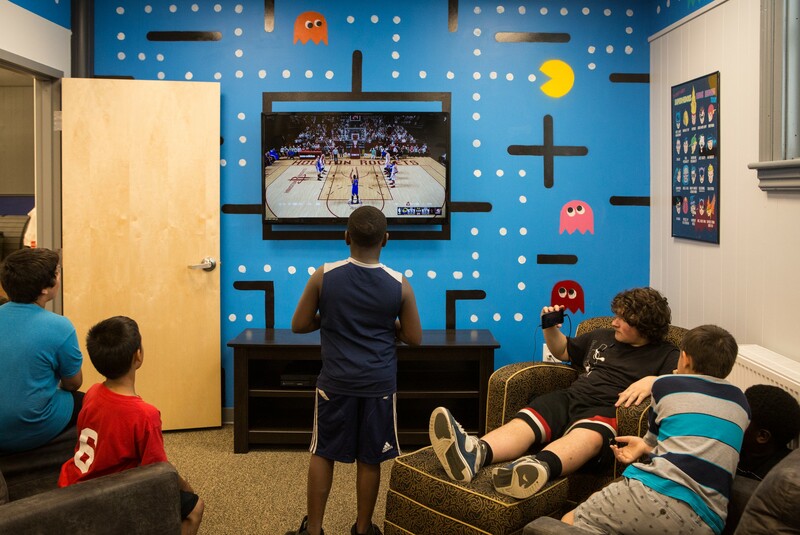 Rooms vary by purpose, from a state-of-the-art kitchen, to a homework room with laptops and internet access, to a game room with a TV and gaming system, to offices and storage rooms.